Sheep, chickens, roosters, turkeys, pigeons, rabbits and goats – oh my! A variety of livestock comes and goes in this barn throughout the fair, so you’re guaranteed to be wowed by different breeds each day. Most of the competitions take place right in the barn. 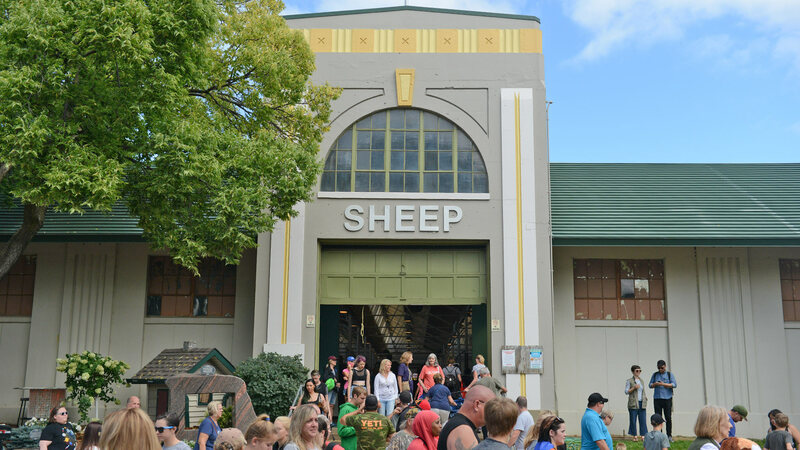 The Baa Booth, open the first eight days of the fair, features educational sheep displays and fun hands-on activities.